Complex structures and centralized decision-making bog down too many companies. Bud Denker, Executive Vice President at Penske Corp., relies on a flat organization to make fast, smart decisions. 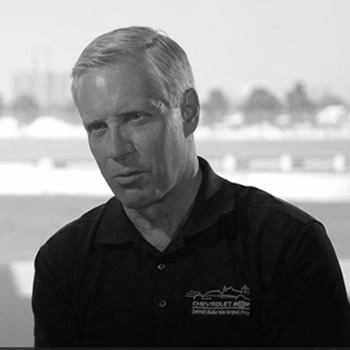 See how this talented leader is winning big in both the board room and on the race track. When you have to take on big challenges, the most "qualified" people may not facilitate the championship. See how Penske Corporation's EVP, Bud Denker, took over the Detroit Grand Prix with no background in events, and then built his team of doers and dreamers to win big. Too often, leaders think certain tasks are beneath them. But great leaders spring into action, willing to do whatever it takes to win. See how Detroit Grand Prix Chairman Bud Denker took matters into his own hands when crisis struck.